Want to give somebody a surprise gift this Easter? Looking to slip something inside their chocolate egg or card? Whether you have a birthday, wedding party or anniversary coming up, a gift voucher for our rally experiences could be just the ticket. People give gift vouchers for our driving experiences for all sorts of special events but are also popular just for anybody who wants to inject some excitement into their life. We have many repeat visitors, which means we must be doing something right! Phil Price Rally School is renowned for delivering unbeatable motoring experiences at our epic rally stages in the heart of the Welsh countryside. 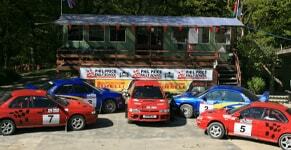 Much more than an experience, our rally days have loads of hands-on driving. Based in Llangunllo, our venue is so good that it’s regularly used for pre-event testing. With glowing testimonials for our courses, Phil Price Rally School are proud to have a Certificate of Excellence from Trip Advisor. Described ‘simply the best’ and praised for providing a ‘full day of driving’, Phil Price offer plenty of time behind the wheel. There is plenty of great accommodation nearby for anybody visiting Wales, including bed and breakfast facilities, hotels and inns, self-catering and caravan parks. 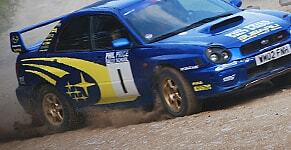 Read more about gift vouchers for our driving days today.